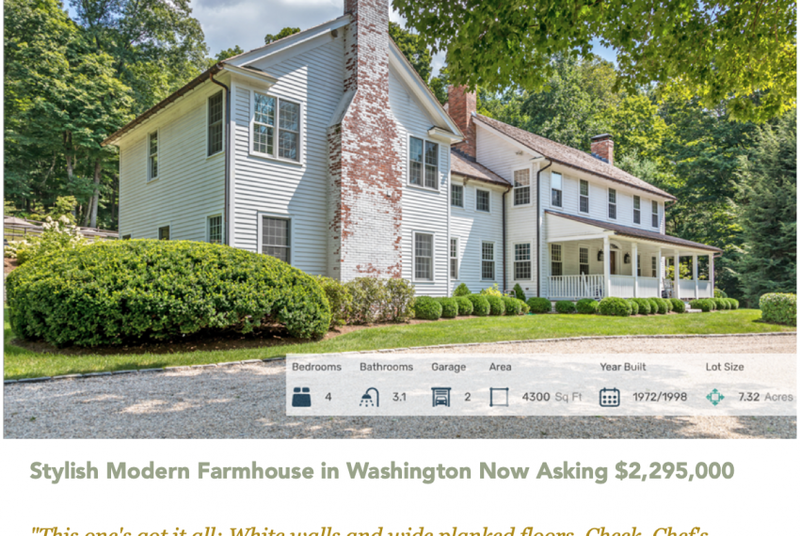 Modern Farmhouse in Washington CT 368 Nettleton Hollow Rd. Washington: “This one’s got it all: White walls and wide planked floors. Check. Chef’s kitchen with marble counters and apron sink. Check. Great room with fireplace and vintage accents. Check, check, check!” Read more here.